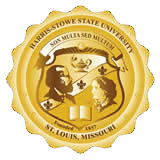 Harris-Stowe State University provides a number of services for faculty and staff both on and off campus. Below are the most commonly requested links and instructions for accessing HSSU computing resources. For Office 365 EMAIL, go to Outlook.com/hssu.edu and enter your username (DoeJ@hssu.edu) and password. For MYHSSU/eLearning, go to https://live.hssu.edu/ics and enter your username and password. Your default username is the same as the username for your campus email, and your default password is hs####, where #### is the same as the last four digits of your SSN. For MYHSSU/eLearning Instructions, log into MYHSSU/eLearning, go to the Faculty tab and Documents and Forms. For the EXTRANET, go to http://extranet.hssu.edu/ and enter your email and Campus ID. For the FACULTY SENATE page, click here: Faculty Senate. For ASSISTANCE with on-campus computing issues, contact the HelpDesk at (314) 340-3327 or email helpdesk@hssu.edu. For WEB inquiries, email webmaster@hssu.edu.